Charlotte: Are you nervous about meeting my family? Barry: Why? Do I look nervous to you? Charlotte: No. You look like you're going into battle. A Biopic With No Point? I really was looking forward to watching this movie, and had the release date earmarked to see it. But after spending my early morning watching it, I was overall disappointed and realized that I could have waited. So I'll start off with the good parts. Big props to Devvon Terrell on getting Barack's speech, mannerisms and attitude to a tee. He really could be a dead ringer for the younger version of the President; so casting did a fabulous job there. For her few moments in the film, Ashley Judd did a great job as Barack's mother. I enjoyed seeing a peek into their relationship and I wish it was fleshed out more. It was also interesting to see the film show Barack's fish out of water moments. Being bi-racial in 1980s New York, for sure he experienced a lot of them. But the rest of the film fell flat. It just wasn't compelling at all. 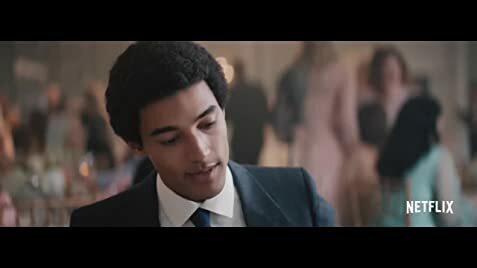 The trailers made it seem like you would be presented with key experiences from Barack's formative years; the things that help make him into the man we know today. The truth is you got very little of that. It was more of just a conflicted college kid trying to navigate the relationships with his on-campus peers and his (White) girlfriend and family. 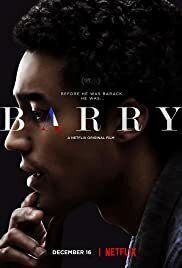 The script kept trying to bring in Barack's desire to have a relationship with his father, but it just felt random and out of place each time. Overall this film wasn't a horrible waste of time. But it was far from being remarkable. I have yet to see "Southside With You", but I feel as if this was an ambitious effort that just fell short of the mark.